How to open an account on 1xBet? 1xBet has entered the Nigerian online sports betting market dynamically. Coming forward with a plethora of sports, markets, and betting types, it also entices with several bonuses and offers, as well as exclusive features for the eyes of its customers only. To be able to live the experience the popular operator offers and benefit from all the available promos, you will need to go through the registration process. In this review, you will find out how to open an account on 1xBet, claim the welcome bonus, and many more. Click on any button throughout this review to be redirected to the official 1xBet site. Click on the green “Registration” button on the top right corner of the page. You will be provided with four different ways to sign up (One-click, By phone number, By email, and Social networks and messengers). Select the one of your likes. Fill out the required details (the email option has the most fields to complete). It will take a few seconds. When you are done with entering the information necessary, click “Register” to open an account with 1xBet successfully. Note: Many operators offer the opportunity of a promo code. Similarly, you may use a bonus code when you open an account on 1xBet, which will boost the overall experience and/or enable you to claim the current bonuses. You can find more details on 1xBet offers and promotions by visiting this page/link. At the moment of this writing, the operator offers a 200% deposit bonus up to NGN 36,000. This means that the bookmaker doubles the first deposit amount of a new player while the maximum bonus sum bettors can receive is NGN 36,000, provided the he/she places a qualifying bet (T&Cs apply). To be able to withdraw your winnings from this promo, you will need to wager half the bonus amount 5 times, and the remaining 50% of the bonus sum should be wagered 30 times in Games. Do check out all of the terms and conditions of the welcome bonus after you open an account on 1xBet, though, to get the full picture. 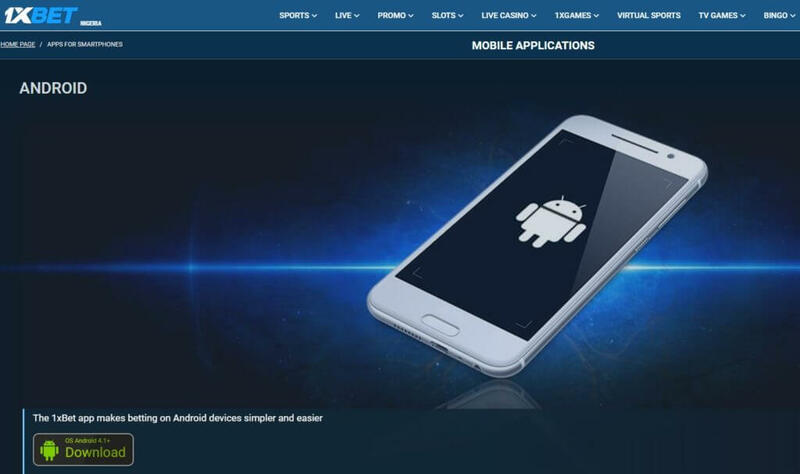 To open an account on 1xBet from your mobile phone or another portable device, you simply follow the exact same process as when using a desktop (mentioned above) because the mobile app is a mirror of the desktop platform. Individuals registering with the bookmaker must be, at least, 18 years of age. Each registered individual must have only one sports betting account with 1xBet. Accounts that have been inactive for more than 3 months are blocked. If online gambling is illegal in the jurisdiction in which a player is located, the player cannot use the 1xBet card to complete a transaction. NetEnt games are not allowed in all countries where 1xBet operates. Only individuals that have not been previously registered with the operator can open an account on 1xBet. First, choose the sports market you are most interested in and select the odds for a single outcome. Your choice will instantly appear on the bet slip (look on the right column). Then enter the amount you wish to bet and confirm your selection. You will notice that shortly after, your account balance is updated. A combined stake is like a single bet with more options. As you add new selections, you will see that the bet slip presents you with the combination option. All you need to do then is fill out the sum you wish to bet and the type of bet you fancy the most. Confirm, and fingers crossed! The majority of payment options come with no service charges. As for the withdrawal list, it is shorter than that of the deposit but still more than satisfactory. According to customers’ reviews, the operator responds to email queries within 24 hours while the Live Chat and telephone lines are available on a 24/7 basis.